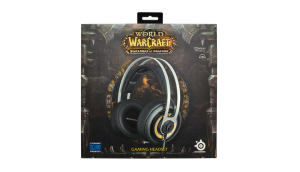 CHICAGO, July 31, 2014 – SteelSeries, the global leader in premium gaming peripherals, in collaboration with Blizzard Entertainment, today announced the upcoming release of the Siberia Elite World of Warcraft® Edition Headset. Gamers will soon be able to experience epic quests, intense raids, and endless adventure across Azeroth and Draenor while wielding a premium headset with jet-black ear cushions, illuminated runes, and a lightweight over-the-head suspension style designed for hours of comfortable gameplay. The ring of runes is where gamers can see the power of the headset. Players can choose from millions of color options that can also be saved in an endless number of audio profiles. In addition to color, there are options for a pulsating glow, dynamic lighting based on your in-game actions, or no illumination at all—the choices are endless. The headset is equipped with multiple Dolby® technologies and a closed-type earcup design that provides listeners with a virtual 7.1-channel surround sound experience. Players are able to create and save their own unique audio profiles through the SteelSeries Engine 3 software by tuning their own equalizer settings, microphone functionality and much more. Gamers can control their microphone mute as well as speaker volume from directly on the headset by turning the easy-to-find dials on each earcup, making quick adjustments simple and convenient. 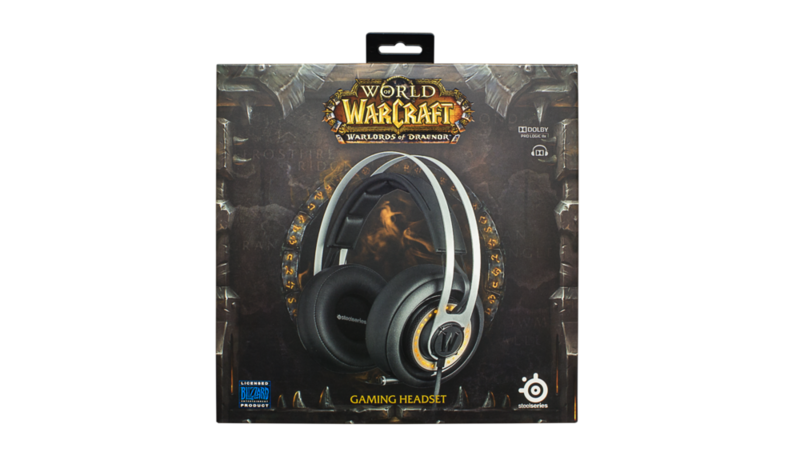 The SteelSeries Siberia Elite World of Warcraft Edition headset is available for pre-order now on the SteelSeries Web Shop for $209.99 MSRP. For more information about the new headset and the rest of SteelSeries’ official Blizzard Entertainment licensed products, please visit www.steelseries.com/worldofwarcraft. Best known for blockbuster hits including World of Warcraft® and the Warcraft®, StarCraft®, and Diablo® series, Blizzard Entertainment, Inc. (www.blizzard.com), a division of Activision Blizzard (NASDAQ: ATVI), is a premier developer and publisher of entertainment software renowned for creating some of the industry’s most critically acclaimed games. Blizzard Entertainment’s track record includes seventeen #1-selling games and multiple Game of the Year awards. The company’s online-gaming service, Battle.net®, is one of the largest in the world, with millions of active players. SteelSeries is a leading manufacturer of top quality gaming peripherals from headsets, keyboards and mice to controllers, surfaces and software. For more than a decade, SteelSeries has been on the forefront of designing and creating gear for gamers. The company’s continued innovation also comes in collaboration with the world’s leading professional gaming teams and partners. SteelSeries is a global brand that continues to support the growth of competitive gaming tournaments and electronic sports leagues through professional team sponsorships, partnerships and community support. For more information, please visit www.steelseries.com. We are working on testing and reviewing a few Steel Series Products and are so far very impressed by their products! David Berkowitz, Editor in Chief. I am the aspie dad of 3 with autism, in industrial sales by day, and a run tech and autism news media organization as well. I am trying to be like Engadget.com and help autism too via the arts and tech. I am also on twitter, itechnewszone, facebook/technewszone, youtube/technewszone, linkedin.com too. Be the first to comment on "Steel Series announces THE SIBERIA ELITE WORLD OF WARCRAFT® EDITION HEADSET"